Launched by the University of Washington’s R/V Thompson and funded by the Oregon Coast Science, Technology, Engineering, and Mathematics (STEM) Hub, the SS Morning Star is underway! 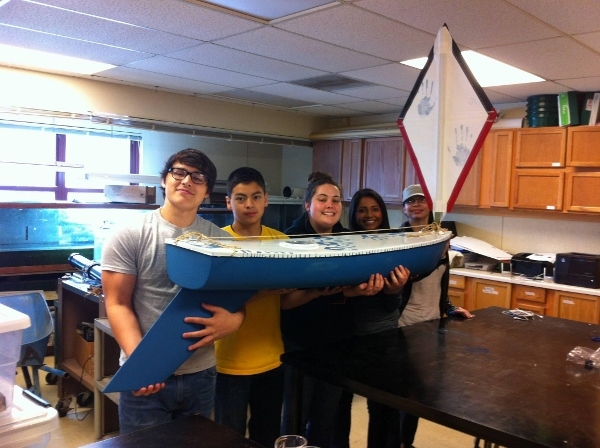 This boat was built by Tillamook High School physics students in Spring 2015. It is named after the famous sloop that carried butter in and out of Tillamook during its early years. 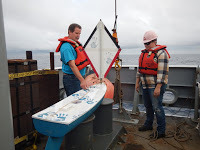 Read about the launch of the sailboat during the Axial Seamount 2015 Expedition here. 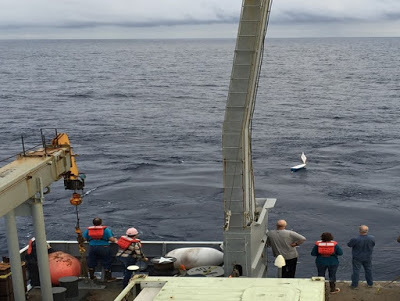 While the Morning Star sailed for more than a year and made it beyond the Hawaiian Islands, it was not heard from again after 11 Feb 2016. Who knows, it may show up some day, some where.